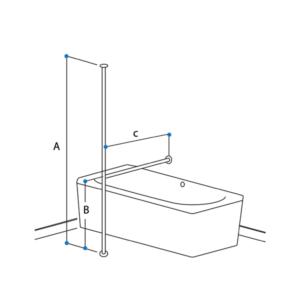 Bath hand rails are very practical for fall prevention in and around the bath area in bathrooms. 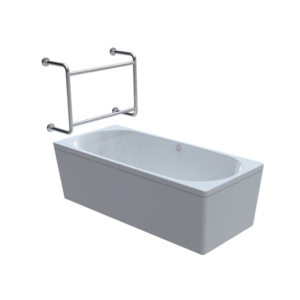 Ordinarily our fully TIG welded bath rails are satin finished for optimum grip and serviceability. 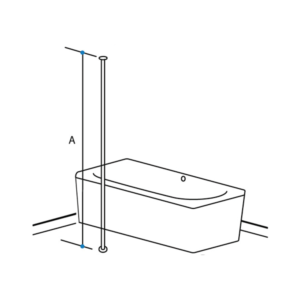 Incidentally the vertical floor to ceiling support poles feature more and more as an option for safely entering or exiting bathtubs. When installed from floor to ceiling, additional horizontal grab bars offer more support. For instance horizontal rails attached to the wall and the floor offer an economic alternative. 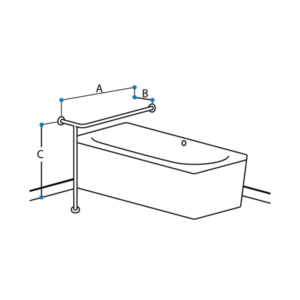 Straight grab rails attached to the walls of the bath area are also very practical for fall prevention. With the use of concealed flange and cover sets grab rails have neat appearance and make for easy installation. Occupational therapists specify bath rails from time to time for additional safety. 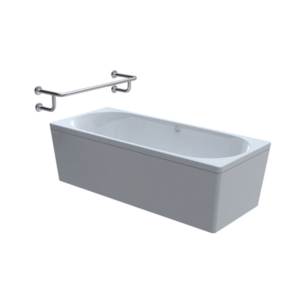 Customers can order custom sized bath grab rails from our friendly customer service.